Over the last few years, I have talked with many German politicians, business leaders and media about (1) the role of the UK in the EU, (2) the need for EU-reform and (3) the consequences of a potential “Brexit”. The almost universal reaction I received was a resoundingly unambiguous “Ja, aber” (yes, but). German economy (between 0.08 and 0.33 percent by 2030). But that is only the ‘euros and cents’ trade partnership side of Brexit, which could be mended with mutually beneficial free trade agreements. Much more important is the political alliance that would be lost post-Brexit: without the UK, Germany and the few open-market, free-trade, deregulation-favouring EU member states would lose their veto-power (35 percent of votes) in the EU Council under qualified majority voting (QMV). The notorious intra-EU power-game between German “Ordnungspolitik” and French “planification” would see Germany losing out systematically if the UK left the field. When David Cameron gave his famous “Bloomberg Speech” in January 2013, the initial German reaction was mixed. 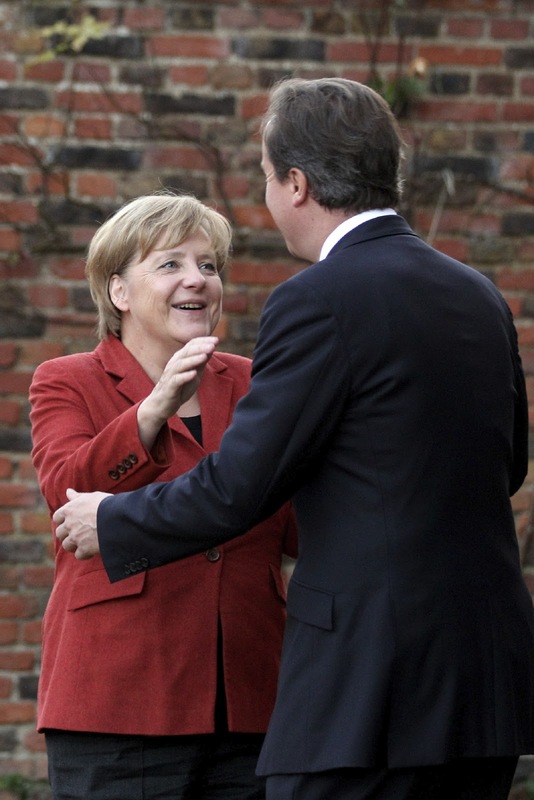 However, it is now hard to find anyone in Germany who would oppose Cameron’s quest for EU-reform as a response to the obvious “crisis of European competitiveness” and the “gap between the EU and its citizens”. Indeed, many people tell me that Merkel could (should) have held pretty much the same speech (just without the in/out referendum part). Ja (3): Brexit must be avoided! However, when I ask back in Draghian style: “Whatever it takes?” – this is when the “abers” come in. Before 7 May a very common “aber” was: “but it is rather unlikely to come to the referendum soon, if at all”. Well, that’s settled now. Many in German politics and business were shocked by the UK election result; even as conservatives they might have preferred a hung parliament or even a Labour-led government if only for the assumption that this would have created some quiet on the Brexit-front (as explained elsewhere on this blog, there is good reason to doubt this logic over the long-term as the prospect of Brexit would not have gone away). After all, the Eurozone and Germany as its main sponsor have enough on their plate to either avoid or accommodate a potential Grexit. Meanwhile, Grexit is no longer a taboo in Germany: many (including myself) now argue it would actually strengthen the Eurozone since economic contagion could be handled and political contagion would be positive: showing others that legal and contractual commitments have to be kept and if not this could have dire consequences. This reply comes with a “Ja, aber” of its own: Ja, we know that the present treaty does not work well for a EU with 28 member states with vastly different economic strengths and diverging political preferences and capabilities. Above all, the Eurozone needs a new rule-book which should be strictly defined and firmly enshrined in the treaties (including the “fiscal compact” which seems not to be taken seriously in many countries). Aber: we also know that a new treaty will be very difficult to negotiate and then ratify in all 28 states of the Union. Hence: do not expect a new EU convention drafting a “new” EU treaty – not before the end of 2016. But at the same time, in the wake of the Eurocrisis, the old Lisbon treaty has been changed and re-interpreted quite dramatically (overriding the no bail-out clause, the ECB mandate, establishing a banking union). And: there is more than one way to skin a cat. Among the many reform ideas, there are different ways these could be achieved from ‘full scale treaty change’ to targeted amendments, to protocols or amendments to specific pieces of legislation. In addition: “more Europe” in the best sense of boosting trade across the single market e.g. in the areas of services, capital, digital or energy can be brought about by coalitions of the willing and capable (according to the enhanced cooperation procedure in the EU-treaties). The line that Cameron and Osborne should use most obstinately when visiting Berlin or Brussels should be: “My strong preference is to enact these changes for the entire EU, not just for Britain”. The most damaging suspicion in Kantian Germany is that the Brits are “cherry-picking”, asking for privilege and trying to secure the benefits whilst renouncing the duties of EU-membership. The proposal of a unilateral parliamentary veto for the House of Commons on EU-legislation would be an example of UK demands that would be met with exasperation in Germany (and elsewhere). The proposal to strengthen national parliaments according to a general rule (e.g. a red-card system) could be welcomed, however. Another (red) line that Cameron and Osborne will hear again and again in Berlin is: “Nein: fundamental EU rules like the right to free movement cannot be negotiated away”. Indeed: if the UK sees the single market as the heart of Europe; this includes the basic freedoms – all four of them. Aber: there is legal room for maneuver when it comes to national rules for access to national welfare systems. Secretly, many in Germany hope that Cameron’s plan to postpone access to benefits for EU-migrants will be accepted by the European Court of Justice (ECJ); Germany may well like to enact similar restrictions. Their proposals should not only be framed as but also aimed at mutually beneficial EU-reform and not unilateral UK demands. This can and should include flexible arrangements and safeguards befitting a multi-tier, variable geometry EU; however these should not be presented as UK-specific singular exemptions but as general principles applying to a Europe that celebrates its rich “unity in diversity”. Their proposals need not aim at fully-fledged treaty change for the sake of it but at substantial policy change. A “new” treaty is unlikely but targeted changes and other legal means are likely to be found. That leaves a most ambitious agenda; and a most useful one; and one that could avoid Brexit. And thus: one that can find support in Germany.